I’ve always wanted to live by the sea, infact I only chose my university for that reason. There is something that being by the sea does for your soul that is hard to recreate anywhere else. This blog post is a product review however so enough dreaming about the waves of Jersey and let’s talk about a brand from there instead. Sometimes I am lucky enough to be sent products to try out. 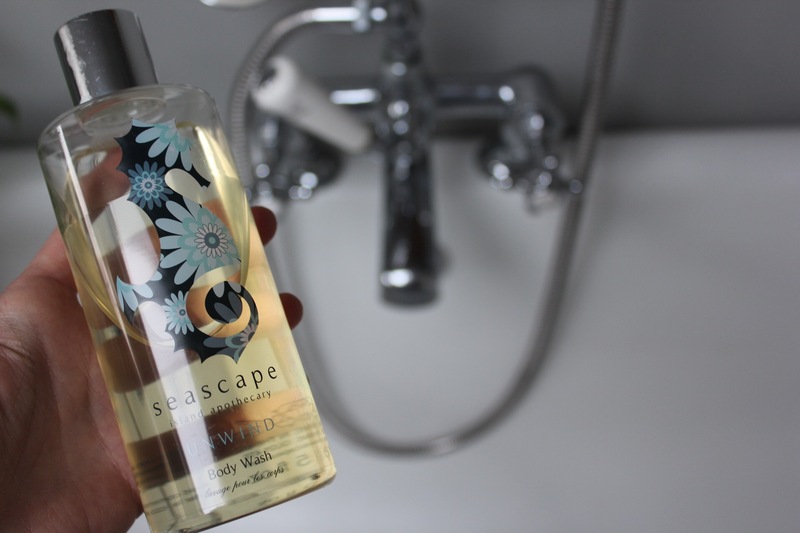 I love the team at Tonic Broadway and they have started to stock Seascape and very kindly sent some products my way. I received the Unwind Body Wash, Les Petites Body Lotion, Soothe Body Butter, Peppermint Lip balm and the Soothe Sleep Oil. They couldn’t have arrived at a better time and I have been using all the products before bed this week. 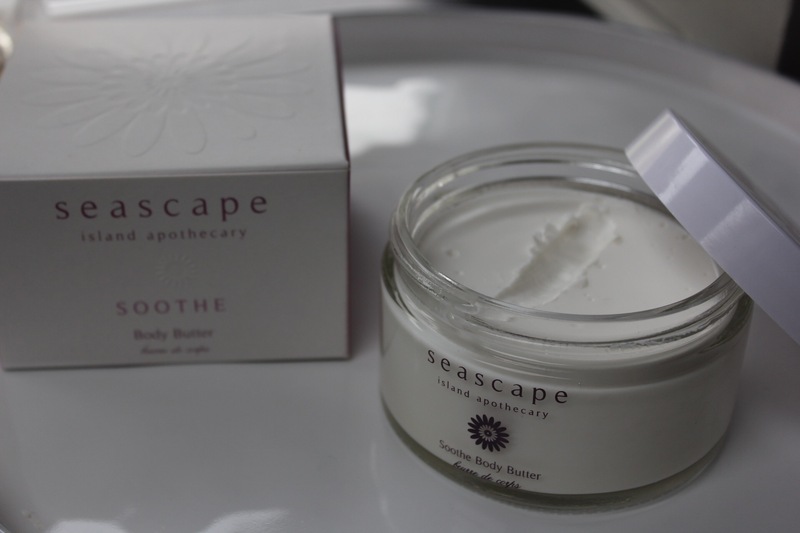 The body butter is a real luxury item. It’s so thick and the essential lavender oil is making it my perfect bedtime treat. I struggle with my skin over these cold months, it’s often dry. So every night before bed I have been applying this body butter and I’m so soft. Which is really going to help with my fake tan application. Thursday is tan day after all. The Unwind Body Wash also contains lavender (all pregnancy safe oils) it’s so gentle I have been using it on the boys too. Even popping a drop in the bath as a bubble bath. My boys always really loved baby massage when they were small and that fizzled out as they got bigger. It’s been really nice this week popping the body lotion on them. 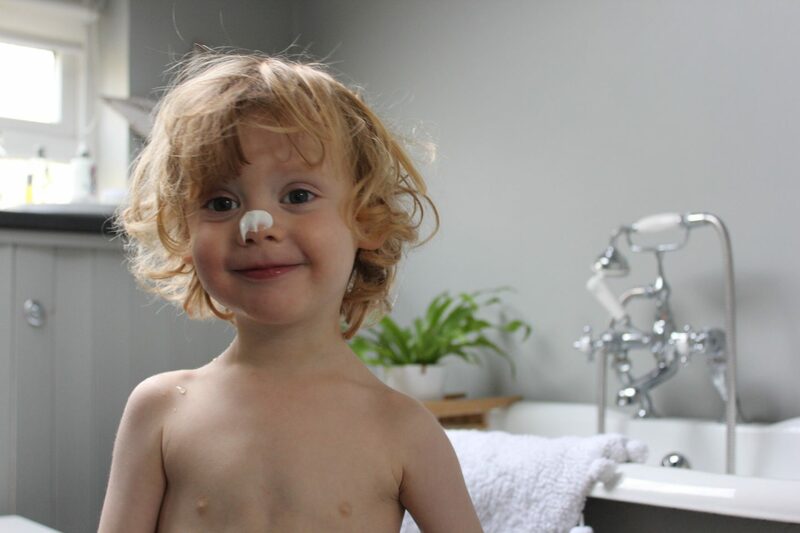 It’s nice to pamper them and look after their skin as well during these cold months. 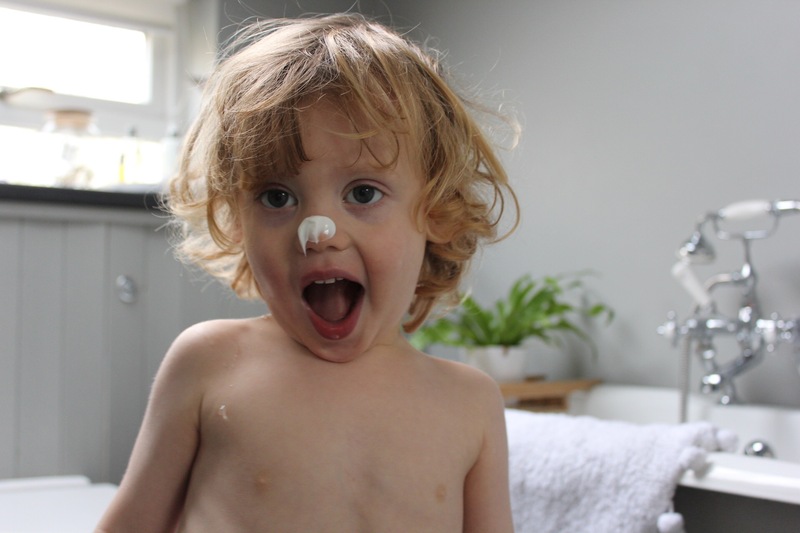 I told Sonny it will help him sleep (more Lavender oil) and he was baffled that he was still awake after the cream had sunk in. Harbor has been suffering with dry lips this week. He’s a really bad lip biter and every year they get so sore they bleed. So I have pack this little lip balm in his school bag and I’m hoping we have a better winter for his poor lips. 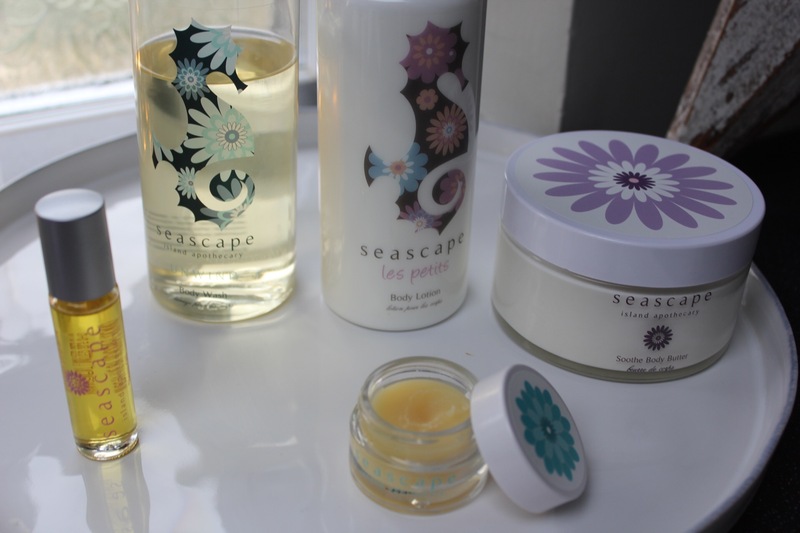 I’m a massive fan of Lavender and these products have all been so luxurious. 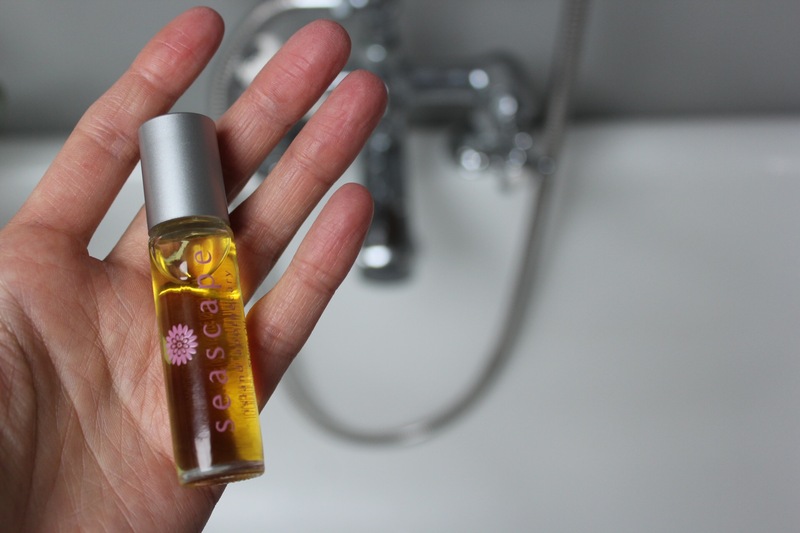 My favourite product has to be the sleep oil though! It has a little rollerball for application. I’ve no idea if this is a coincidence but I’ve been suffering with terrible headaches the last few weeks and since I’ve started using this they have gone. Even if it’s all in my mind I’m very happy to be able to give the paracetamols a miss! 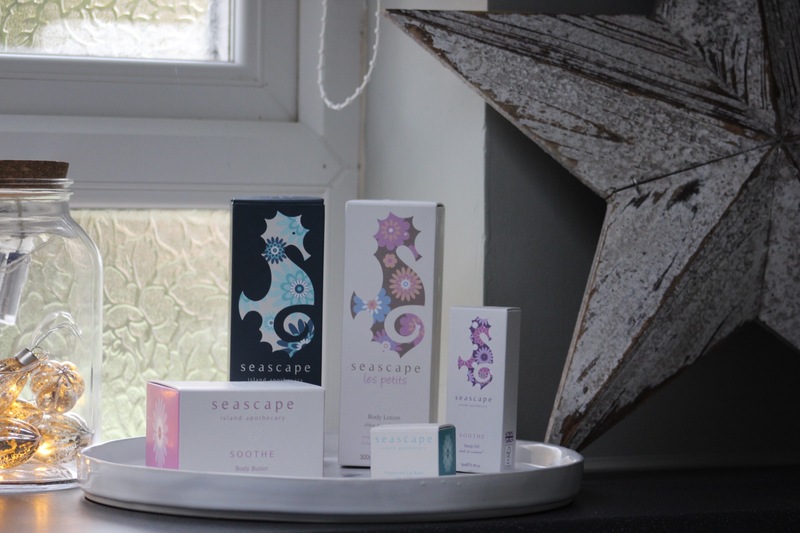 This brand would be so perfect for new mothers who are sleep deprived and need a little tlc as well as pampering your little ones this winter. Next Post Capturing Those Memories.